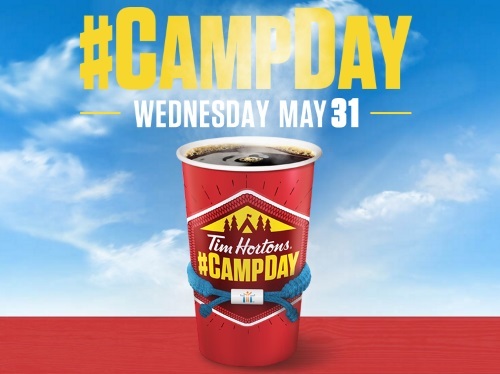 Today is Camp Day at Tim Hortons! Buy a coffee, brighten a kid's future. Some kids don’t start with much. But on Tim Hortons Camp Day, every coffee you order helps send kids from low income families to a Tim Horton Camp, so they can see a world of possibility. On May 31, 100% of coffee sales and proceeds from bracelet purchases will help brighten a kid’s future.